Hope everything is going well in your Life, if not, don’t worry, be positive and wait for the results because when you think positive, the positive things will happen. 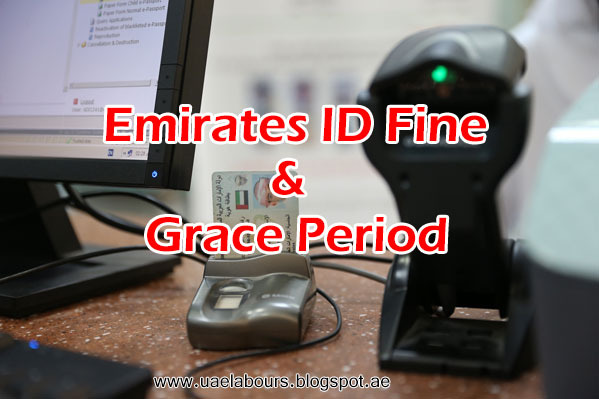 Today we are going to discuss the grace period and fine for Emirates ID if you are not renewing it while living in UAE. The Emirates ID card proves your identity as a UAE resident and is required for any documentation you need to carry here across UAE - be it your driving license, renting a property, getting utility connections, bank accounts and so on. 1: What is the fine for each day after Emirates ID Expiry? 2: How many days government has provided us as a grace period? 3: What are the required documents to renew the ID card? 4: What is the Fees for renewing Emirates ID? 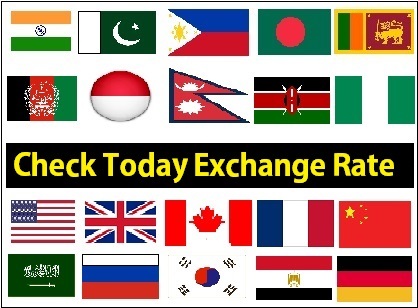 We have covered all of the above queries in below article. Please note that once your Emirates ID gets expired, you have to renew it within 30 days from the date of expiry, for example if your Emirates ID Expiry date is 26/07/2017, you have to renew it before 26/08/2017 within next 30 days of expiry. What if someone didn’t renew it within next 30 days? Card holder will be fined 20 AED per day as late fee, up to a maximum of 1000 AED. B: Non-renewal of the card after 30 days from the date of expiry. When the Emirates ID nears expiry, the card holder will receive a text message (sms) on the registered mobile number from the EIDA (Emirates Identity Authority) regarding renewal of the Emirates ID. The Authority pointed out that applying for an ID card renewal requires the applicant (card holder) to personally visit one of the authorized typing offices. The UAE nationals can choose between five and ten years while applying for issuance or renewal of the card. But for UAE residents (expats), the validity of their ID cards linked to the validity period of their residency that is mostly 2 or 3 Years. The applicant above 15 years old must go to the registered identity authority which will take a picture, fingerprints and electronic signature of the individual. The procedure starts with submitting the documents by filing the online form on the website or via smart mobile phone application or by submitting the documents to one of the accredited and authorized typing offices across UAE. The process of submitting the request will start with the processing of the documents. The application has to be filled online on the Authority's website. The other options are smart mobile phone application or approved typing office followed by the payment of registration fee, printing and the receipt of the registration request form. 40 AED Audit fee if the customer is submitting online via the website. Once the application has been submitted, you will receive your new Emirates ID within 7 working days. Customers must contact the Emirates Post to receive the card after receiving a message on the registered mobile numbers mentioning the availability of the card. Which are the exempted categories from the renewal fee of ID cards? What is the cost if i lost the EID and i apply again???? Who need to pay this cost company or employee???? My ID expired date is 24 may 2018 ..but still my visa is not cancelled. My owner told my labor cerd is already cancelled. But my employment visa is cancelation under processing.. If possible.... Will I get any fine or problems..?